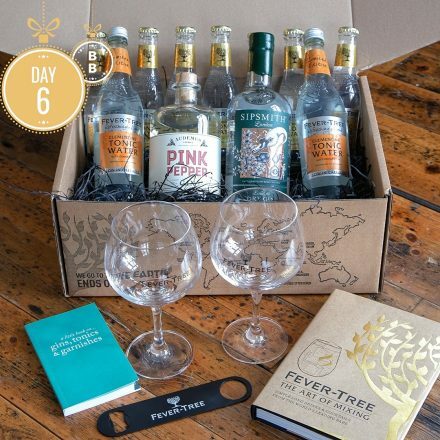 Our friends at Fever Tree have created a bespoke Christmas Gin & Tonic hamper for us to give away on Day 6 of our Christmas Countdown. Complete with an array of their wonderful tonics, a selection of our favourite gins, stunning Fever-Tree balloon glasses and two of their fantastic drinks manuals, this set is all you need to become a G&T aficionado. You can find out more about Fever Tree’s gorgeous products here. For the chance to win visit our Facebook, Twitter or Instagram.